High-spin, high-performance; the HS Series offers unprecedented detailed control over almost every aspect of your wet cleaning system. An innovative closed circuit, air flow recovery drying system combines energy-efficiency, effectiveness, and affordability. The optional residual humidity sensor for drying cycles to accommodate the most delicate garments makes the RZ Closed Circuit Tumbler Dryer a great fit for the most demanding wet cleaning applications. 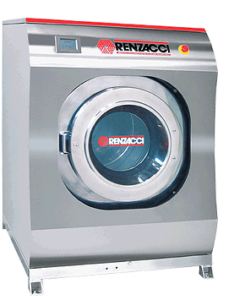 As an authority on wet cleaning laundry equipment, Renzacci products are some of the most highly regarded machines in the industry. We uphold the same high standards and forward-thinking today that made us a world-renowned leader nearly fifty years ago. When you purchase a product from Renzacci, you’re not only getting pristine Italian craftsmanship but also decades’ worth of our experience and expertise. 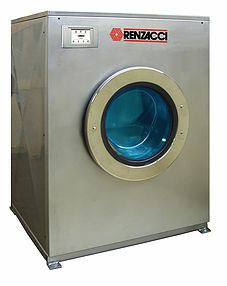 Renzacci-USA supplies you with our superior wet cleaning machines that your business can rely on for years to come. 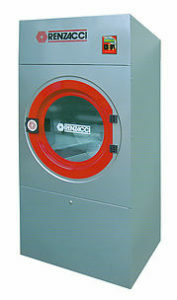 Renzacci-USA brings performance, durability, and efficiency to you. Depend only on the long-standing quality and proven technology of our innovative wet cleaning equipment for your business’ demands. Call us and speak to a friendly and knowledgeable representative or fill out our online form to learn more about our wet cleaning products!